Ibrahim Y. Alhussain, DMD, is a highly experienced and skilled orthodontist at Tysons West Orthodontics & Children's Dentistry in Vienna, Virginia. He offers metal braces, Invisalign® aligners, clear ceramic braces, and other types of orthodontic care to help children and adults achieve beautiful smiles. Dr. Alhussain earned his doctor of dental surgery degree at Louis Pasteur University in Strasbourg, France. He then went on to earn his doctor of medical dentistry degree from the University of Pennsylvania School of Dental Medicine in Philadelphia, Pennsylvania. 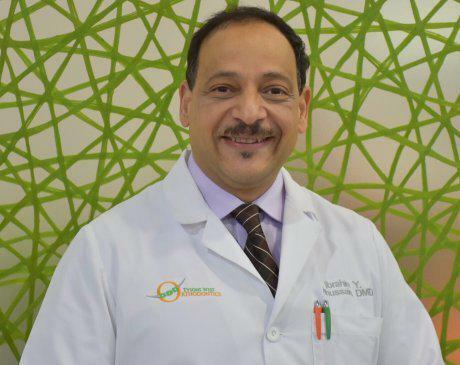 Dr. Alhussain also earned a certificate in orthodontics at the Albert Einstein College of Medicine in New York City, where he served as a top resident. Dr. Alhussain is an active member of the World Federation of Orthodontists, the American Association of Orthodontists, the European Orthodontic Society, the Southern Association of Orthodontists, and the American Dental Association. Dr. Alhussain, who is fondly called “Dr. Al” by many of his patients, loves making a difference in the lives of his patients. He speaks English, Arabic and French. If you want top quality orthodontic care, book an appointment online or over the phone today.